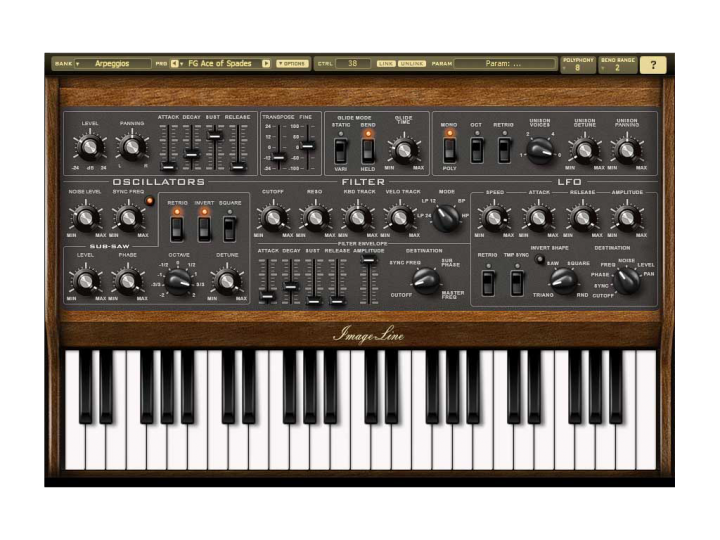 Info über "Image Line Sawer Plug-In FL/VST/AU ESD - Synthesizer"
Sawer pays homage to the envelopes and filters of a rare 1980's Soviet analog synthesizer, Polivoks. Maxx has devoted meticulous attention to the detail of Sawer's filter and envelope designs, ensuring Sawer delivers a unique sonic character reminiscent of the Polivoks hardware. But Polivoks, like all analog synthesizers, wasn't without its problems. Keeping the oscillators stable and in tune has been likened to 'moving a pile of live frogs, by wheelbarrow', impossible! While programming the SAW oscillator, Maxx accidentally set some incorrect variables and immediately the sound gained bass, acquired some light but pleasing noise on the attack and an overall richer sonic spectra. Maxx realized this was no mistake but a discovery and built on this, adding some frequency modulation to give it a touch of analog authenticity and so 'Sawer' was born. • Main oscillator for subtractive synthesis: SAW shape with Sync frequency. • Sub oscillator (-2 to +2 octaves) with level, phase & detune controls. • Variable polyphony (1 to 24 voices). • 8 voice UNISON with user-adjustable stereo panning, detune and 'Octaver'. • SYNC & RING frequency modulation. • 2 ADSR envelope generators (one user-assignable to modulation parameters). • 4 FILTER modes - low pass (24 & 12 dB/Oct), band pass and high pass. • 250+ high quality factory sounds. • 20Mb free disc space. 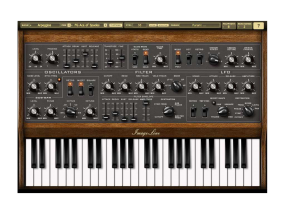 Weiterführende Links zu "Image Line Sawer Plug-In FL/VST/AU ESD - Synthesizer"